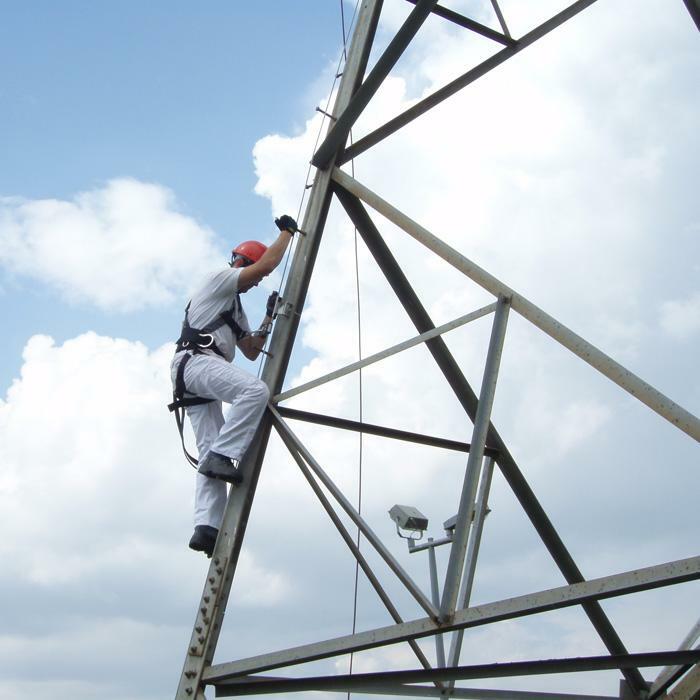 The vertical lifeline, VERTILINE, allows working safely on a wide variety of vertical structures such as stairs, pylons, wind turbines, poles, etc. The fall arrester device used to log in to the system can be inserted or removed from the system at any point, giving the technician unrestricted freedom. It passes through the intermediate anchors without requiring separation from the system or removing the cable anchors and the re-connection. The system is equipped with strain gauge and shock absorber. Its parts are made of stainless steel, with a very good resistance to corrosion. 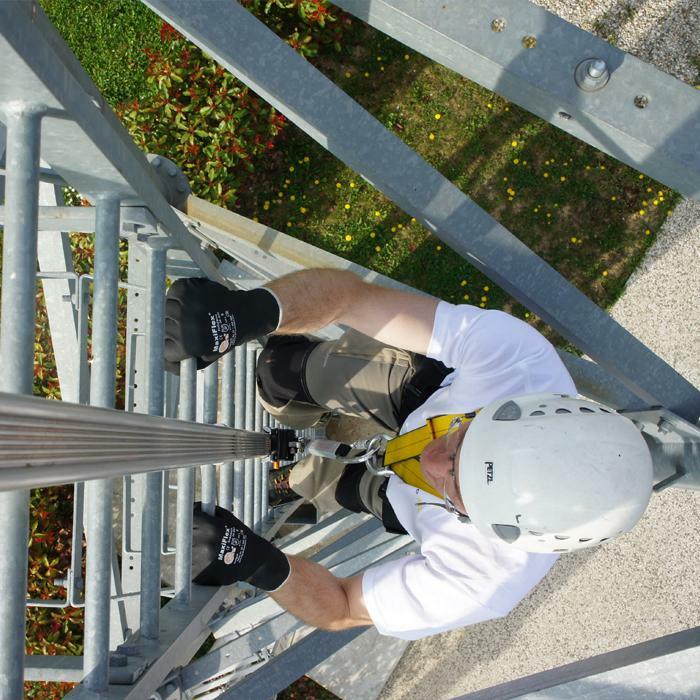 VERTIRAIL fall protection system allows working safely on different vertical structures such as ladder, pillars, poles, wind turbines, etc.